Researchers from Chapin Hall at the University of Chicago have produced the first-ever nationally representative analysis of the number of homeless youth age 13 to 25 in the United States. According to their paper, published in the January 2018 edition of Journal of Adolescent Health and summarized in a policy brief, a total of 660,000 youth aged 13 to 17 and 3.48 million young adults aged 18 to 25 experienced homelessness over a 12-month period. This figure is far higher than the 2016 Point-in-Time Estimate of Homelessness, which identified of 3,916 homeless 13 to 17 year-olds and 41,662 homeless 18 to 24 year-olds. The authors attribute this significant difference to the fact that their analysis measured the prevalence over 12 months and used a population-based sampling approach that enabled better identification of homelessness among this age group. 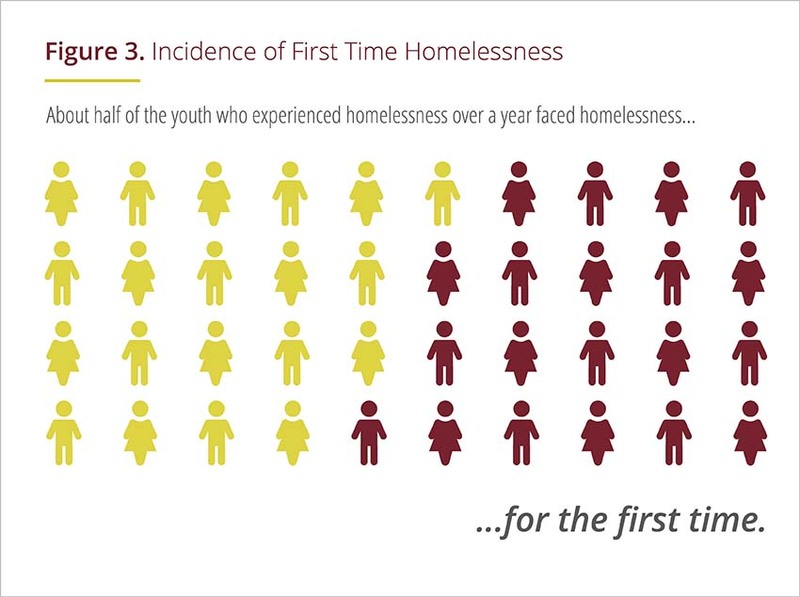 In addition to an overall total, the analysis found that certain youth were more likely than others to experience homelessness. Those without a high school diploma had a 346% higher risk than their peers who completed high school, while unmarried parenting youth had a 200% higher risk of reporting homelessness. Other at-risk groups included youth who identified as LGBT (120% greater), Black or African American youth (83% greater), Hispanic, non-White youth (33% greater) and youth reporting annual household income of less than $24,000 (162% greater). The prevalence of youth homelessness comes at an important time, as Senator Scott Wiener introduces Senate Bill 918, which would establish the Office of Homeless Youth and allocate $60 million annually to develop a range of housing solutions. The legislation is sponsored by theCalifornia Coalition for Youth, the Corporation for Supportive Housing, Equality California, Housing California, John Burton Advocates for Youth, and Tipping Point.